We fly from an enchanted valley hidden below rural Montisi in Southern Tuscany; this is the real old Tuscany, a Tuscany as yet almost untouched by tourism with forests, vineyards and historical towns. 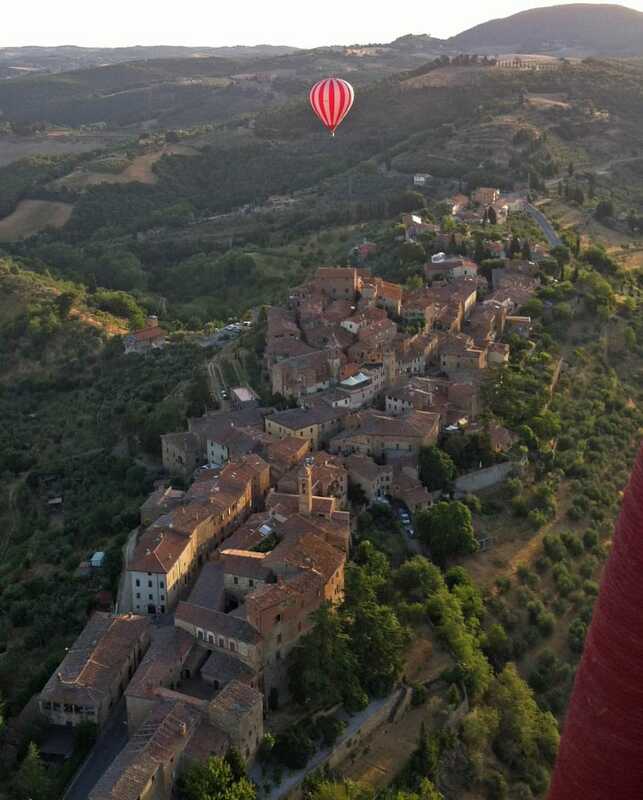 From many years of experience; we now know that the region around Montisi, with its access to both Le Crete di Senesi and La Val d’Orcia regions, truly offers the most spectacular balloon flights. This is our most popular site and also our main base. Coming from Rome or Florence on the Autostrada A1, exit at Valdichiana and turn right after paying the toll, following signs to Siena. Join the “Superstrada” and leave it at the next exit, Sinalunga, where you turn left and left again. Go under the bridge and go straight over the next roundabout, and past the AGIP petrol station to the end of the road. Turn right and immediately left, following signs to the Amorosa (a great restaurant!). After half a mile, turn left again after the bridge over the railway. Take the next main turning to the right, signed to Rigaiolo, Asciano, and Trequanda. Follow signs to Trequanda and continue to the next village, Montisi. If you are arriving by public transport, your train destination is Sinalunga (change at Chiusi or Arezzo or Siena). You can arrange pick up by our preferred local taxi driver Gianmarco at 3rd Services. He can also arrange private transfers from a number of locations as far away as Florence. Please contact him directly for rates. 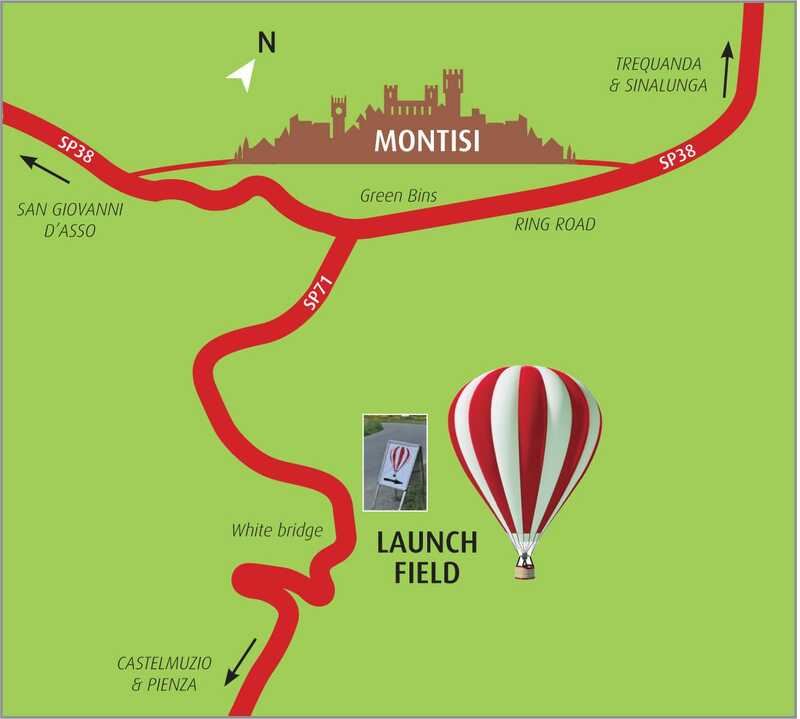 Our launch site does not have toilet facilities; however, there is a public toilet in the centre of Montisi if you require it. Please ensure you have enough time before your flight. The toilet can be found by a small car park just off the main street (Via Umberto 1) in Montisi. It is easiest to find if approaching from the north (the road from Trequanda). Follow signs to the centre of the village and about 250 metres on the right, before a small café and almost opposite La Romita hotel & restaurant, you will find the car park. The toilet is around to the right. As with any commercial flight, if you miss your flight no refund will be due and if you think you are going to be late there is unfortunately no way to contact the pilot in the morning. 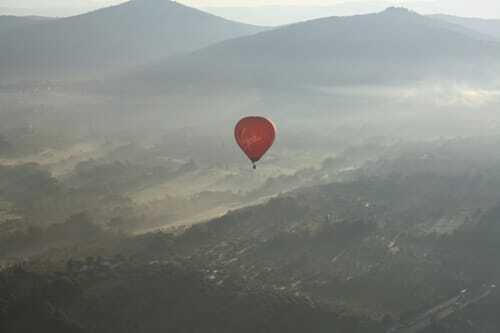 The mobile phone signal is not good at the launch site in the Montisi valley and after the balloon is inflated, about 20-30 minutes after the meeting time, it will not be possible to delay the launch. If you miss your flight we would try to fit you in to a flight one of the following mornings, subject to available spaces. If you are travelling a long distance we would recommend arranging to stay in the Montisi area to make things easier. We would recommend La Romita hotel and restaurant in the centre of Montisi and you can also find other places to stay and things to do at the Montisi website www.montisi.com . 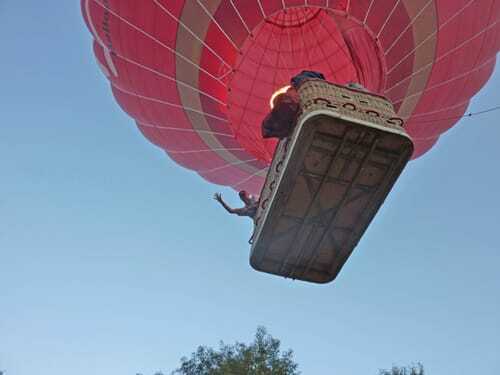 Please mention Ballooning in Tuscany when you book. 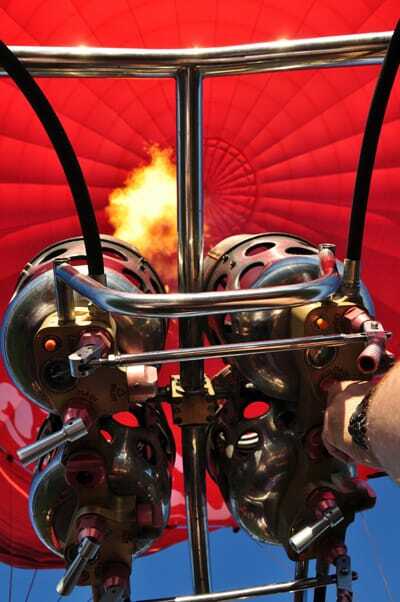 You can also combine your balloon ride in Tuscany with a private tour organised by Antonella Piredda a licensed local guide for Siena and its province. Antonella offers a range of guided tours designed to perfectly follow your morning balloon flight including visits to nearby towns such as Pienza, Montalcino or Montepulciano or other fascinating places of interest such as the Abbey of Monte Oliveto Maggiore, the Abbey of Sant’Antimo or Sant’Anna in Camprena where the movie The English Patient was filmed. Wine tasting, cheese tasting or olive oil tasting can also be included. Tours last 3 or 5 hours and include Antonella as your guide (English, Italian & Spanish speaking) and transportation. Visit Antonella’s website www.antonellapiredda.com for more information or call her on +39 0577 845142 or +39 347 4565150.